Ever since the advent of Uber and Grab, the ride-hailing industry has never been more exciting. And with the arrival of controversial newcomer SixTNC, the scene is gearing up more competition ahead. I say ‘exciting’ as a consumer and observer. 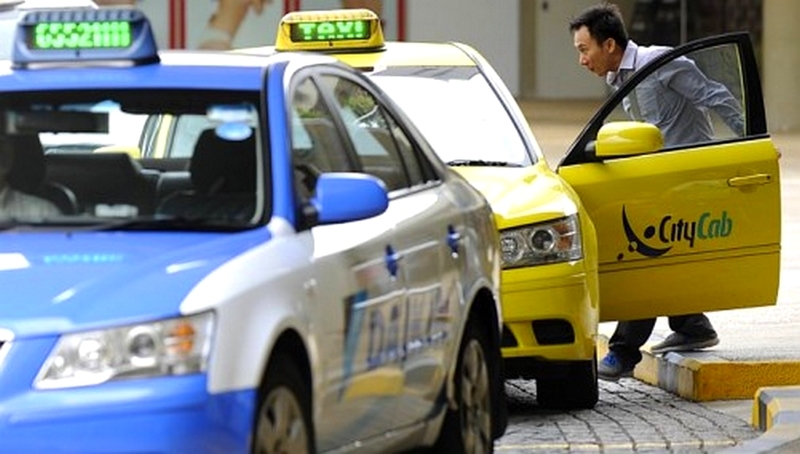 But for many taxi drivers, the presence of these competitors is anything but. An Uber driver once revealed to me that he used to get horned at, and death glares from taxi drivers. Of course, the taxi drivers who express their frustration in such aggressive ways are just a few of the many, but it’s also fully understandable why they feel such animosity to the new kids on the road. We reached out to 6 local taxi drivers, and found out what they really feel about Uber and Grab. 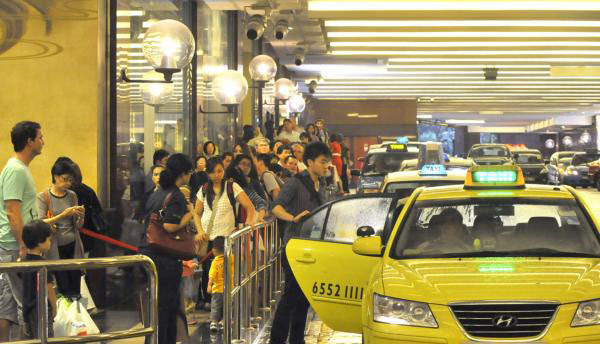 Actually, it was a good idea at first, because they could fill in the demand gaps that the taxis couldn’t fulfil. It was an overall increase in the service quality of professional drivers. But that was until they starting going crazy with the hiring and quantity of their drivers on the road. This resulted in lower business volume…and Comfort Delgro was late to the promo code party. And the thing is, these part time drivers just seem to have very mediocre driving skills. There’s a lot of illegal stopping and dangerous road driving practices…like lane changing and sudden stopping. 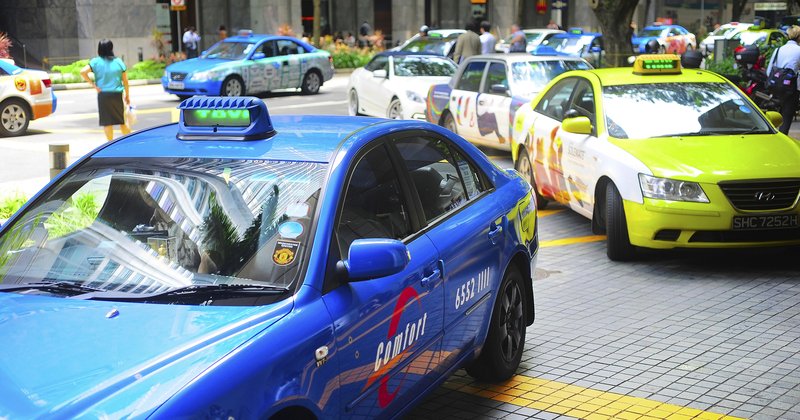 Unlike taxi drivers, who have been driving around Singapore for many years, these part time drivers are also very unfamiliar with road, and tend to go against traffic. Because they follow GPS most of the time, they also drive blindly a lot. I don’t hate them. When Grab and Uber started, I didn’t like the idea of it because it somehow slowed down my business. Last time in Singapore, there were 3-4 taxi companies, but now there’s Uber and Grab too…and it made me worried. But when Grab and Uber started, the stress and pressure on cab companies did lessen. More cars and vehicles on the road meant more consumer satisfaction…which is good, right? I’m quite lucky, but now I’m still earning the same amount as compared to last time. The only downside now is that the waiting time for passengers is longer. But I don’t need to work extra hours to cover up, because it’s just according to my own time, own target. Have I considered hopping over to the other side? Of course. But right now, I feel that Grab and Uber is losing out, and I saw it coming already. Due to low prices and all those incentives given to drivers, they are bound to lose a lot in the long run – that’s what I feel. I feel that Uber and Grab made me change the following. First, I changed to cheaper rental taxi, and saved 40% from it. Next, I changed my work strategy by taking only street flag down, and NOT the booking by call or apps passenger. This method saved 2 hours of work. The increase in productivity also led to better income. Thirdly, I have more time to rest with family. Almost 40% time saved. Lastly, I have better mental health due to having more rest. It’s like that lor. Business is affected because a lot of people are taking Grab as compared to cab. But I think we need to see how we can use Grab to help us as well. Overall, I am just upset that the [taxi] company isn’t helping us more, like by reducing cost of rental or being more flexible with the arrangements. If given a choice of a lower fee or cheaper price, a consumer’s choice is naturally the lower one. So to claim that Uber and Grab has no impact on taxi drivers is to lie out loud. To back the claim up with a survey…that is to deny the reality and is ultimately fake. An allegory – there was a cake and it was shared by taxi companies. Now, there are two rats in the house. Certain shares are gone, taxi drivers got a pay cut and the authorities said it’s just normal market forces. These are the same people who said private taxis are illegal. Every time a Uber or Grab has a passenger, it’s a lost opportunity for the taxi driver. To prove this, go to One Raffles Quay in the morning to count how many arrive by taxi versus how many by Uber and Grab. With every one Uber and Grab car arriving, the taxi driver has lost an earning opportunity. Given the numbers of returned taxis to the taxi company, it has been so demoralising to some who have given up taxi driving entirely. It’s no longer worth the effort nor risk to drive anymore. For others, no choice, as they need to pay bills and they have mouths to feed. I didn’t have to go through so many checks previously. Now, I’m over 60, and I still need to go get a license every few years to prove that I can drive. Of course, business is also not as good as before. And even with an app now, how many know how to use it? If we don’t know how to use it, how to get customers and earn money? 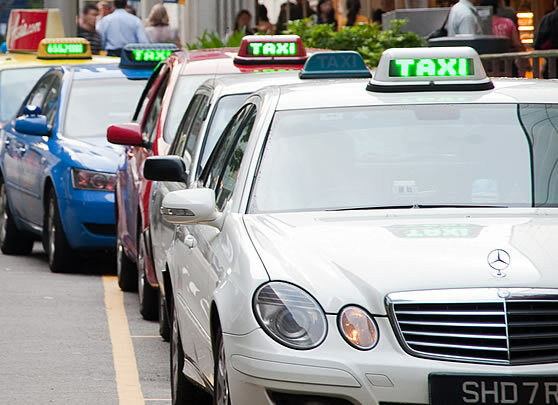 Given that we’ve only asked 6 out of the thousands of taxi drivers in Singapore, our sample size isn’t big enough to capture all the emotions, and the nuances that come with it. But it’s still clear as day that to them, the playing field isn’t as levelled as the new policies are trying to convince us. Are you a taxi driver yourself, or do you know any with opinions about the emergence of Uber and Grab? Let us know!